Arendalsuka, which happened last week, has been called the “Dancing-floor of Democracy”. Just after summer holidays and copied from a similar event in Sweden, Almedalsveckan on Gotland, each year it is THE political event in Norway. All the top leaders of the government, the political parties, numerous organisations and civil society are discussing top issues of the time. This year the record of 1100 different events took place over the week. 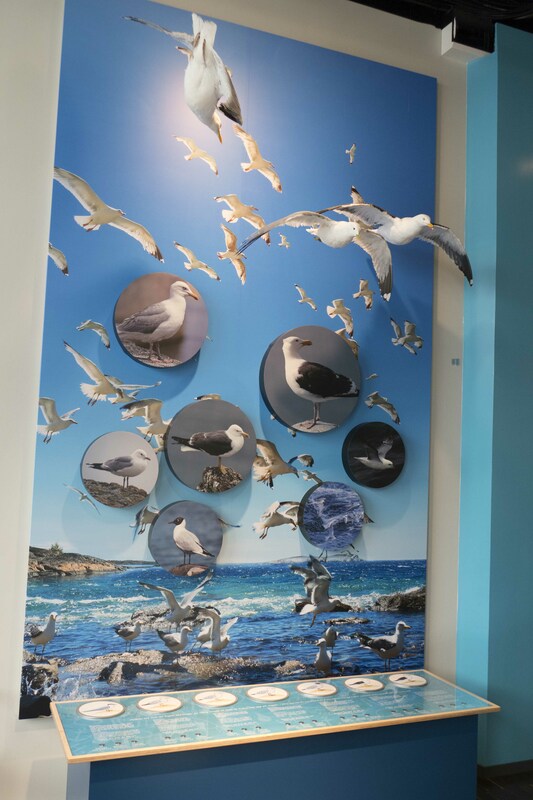 As LT&C has its main office in Arendal, we were of course most interested to participate in events related to our mission to support the Sustainable Development Goals (SDGs) and issues of tourism, nature conservation and protected areas. It was therefore great to see that an increasing amount of events related to the SDGs, climate and the marine environment. Already the opening event, “Global Outlook 2018: Embedding sustainability in business”, where, among other, Ine Marie Eriksen Søreide, Minister of Foreign Affairs, Norway, provided perspectives on the important geo-political trends of our times, focused on lessons from nature that can and should be applied to the global economy to make it stable, healthy and sustainable. The SDGs where mentioned as the main frame by every one of the different famous speakers. 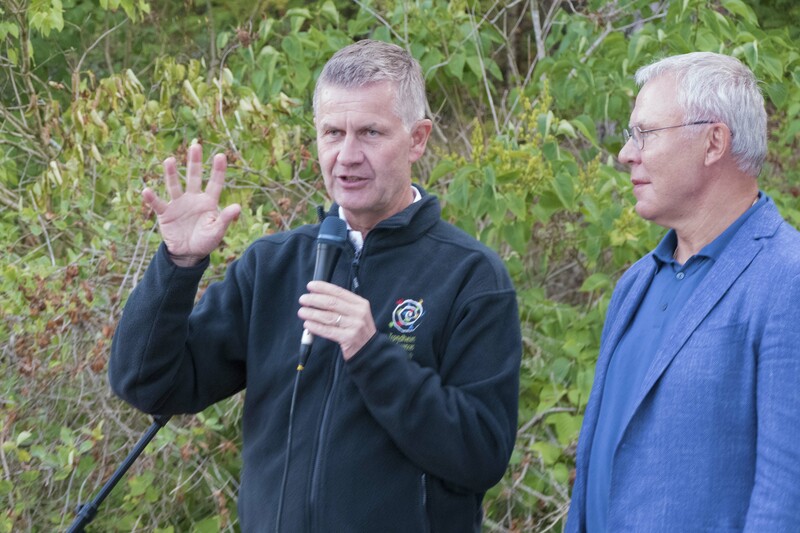 Erik Solheim, UN Environment Executive Director and Under-Secretary-General of the United Nations, took part in what was called the “Great Dialog” (store samtale) together with former Norwegian prime minister Kåre Villoch. 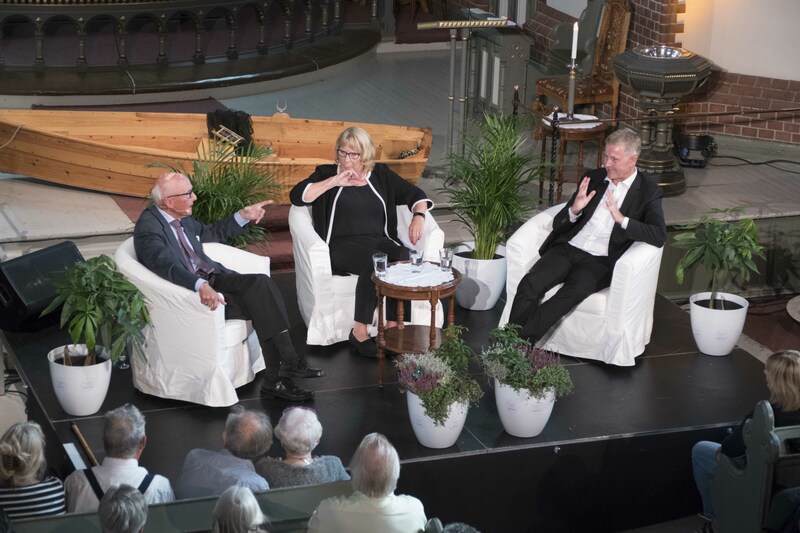 Not all interested could find a place in the Arendal church, where the two discussed the present major global issues. 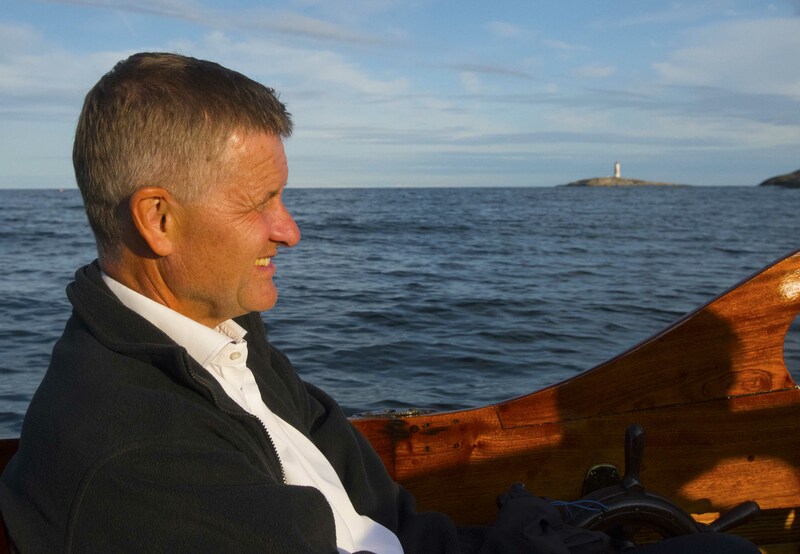 It was impressive to see Erik Solheim showing his continued optimistic spirit that there is much more positive development happening in the world, particular in regard to the SDGs, than most people get out of the media. 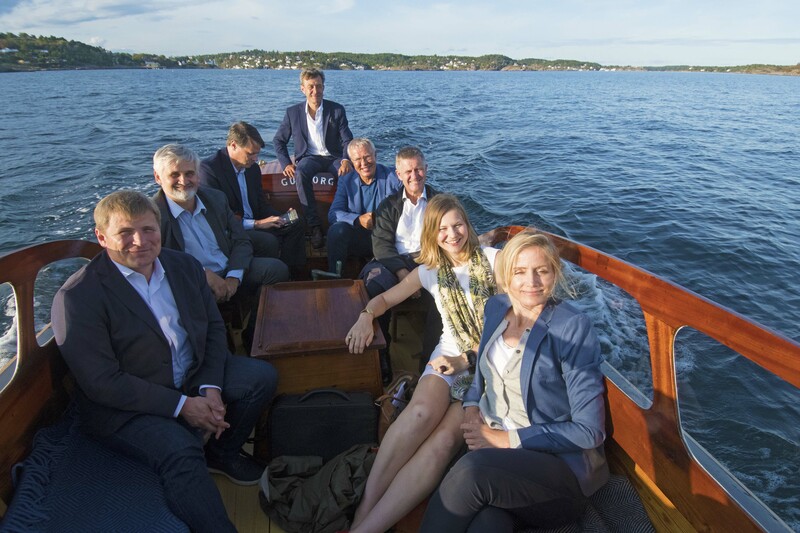 We met Erik Solheim also on a small wooden boat when he with his international delegation visited Raet National Park outside Arendal. 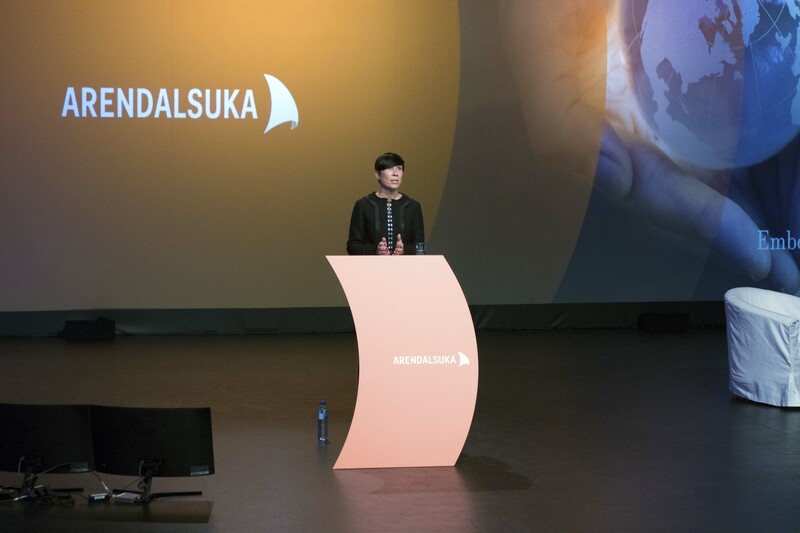 He remembered from his time as Norwegian Environment Minister that he once himself supported the idea of former Aust Agder governor and Arendalsuka initiator Øystein Djupedal, to establish this marine park. He was impressed that the park had been achieved meanwhile and wished it a further positive development. In his delegation was also the Russian ice hockey legend Viacheslav A. Fetishov. 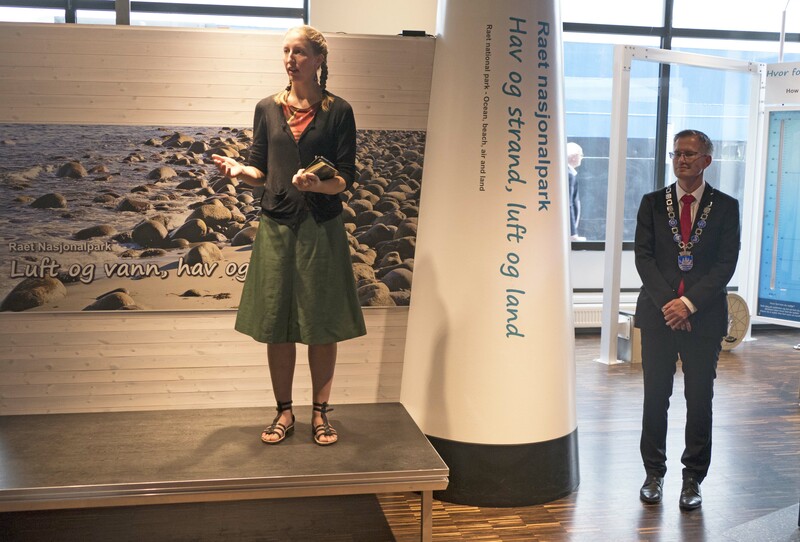 They both announced at an event, co-organised by LT&C-member GRID-Arendal at the house of LT&C-member Elise Sijthoff in the Raet national park on Hisøy, their plan for an UN-ice hockey match on the North pole in order to highlight the urgency to meet the climate goals. 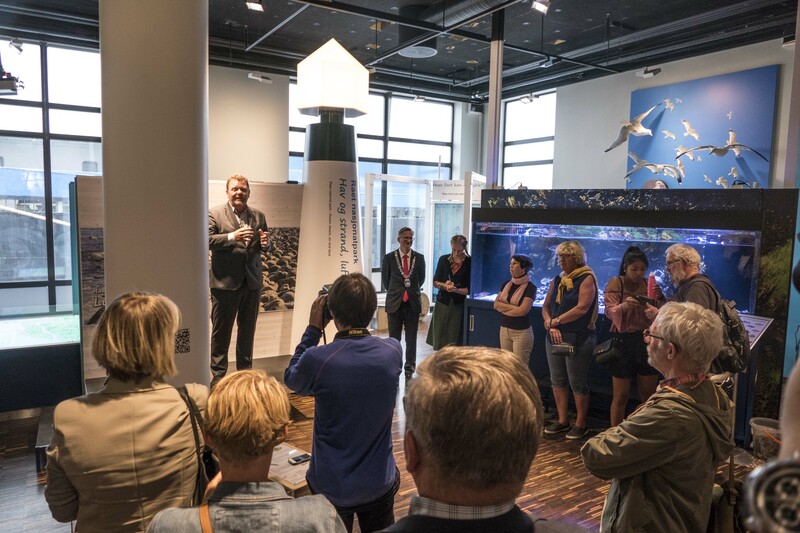 Another highlight for Raet national park was the opening of its first information centre, which is based in the Vitensenteret and same building, where also LT&C has its offices. 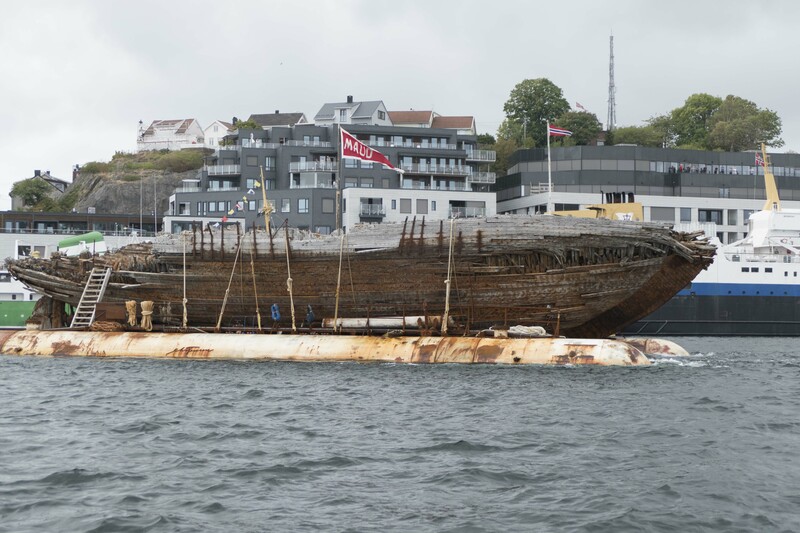 Just before the “father” of the national park, Øystein Djupedal, had his opening speech, the remains of Roald Amundsen’s ship “Maud” passed by outside the same building. Since 1930 it had rested 80 years on the sea floor in Cambridge Bay, Canada before it was raised to the surface and placed on a barge. On its final way back to Norway it took a pause in Arendal, fitting very much with several Arctic arrangements under Arendalsuka. – Djupedal in his speech referred to speed. He proudly described how fast his idea to establish the national park was implemented. With only five years of planning, no other national park in Norway has ever been established so fast. 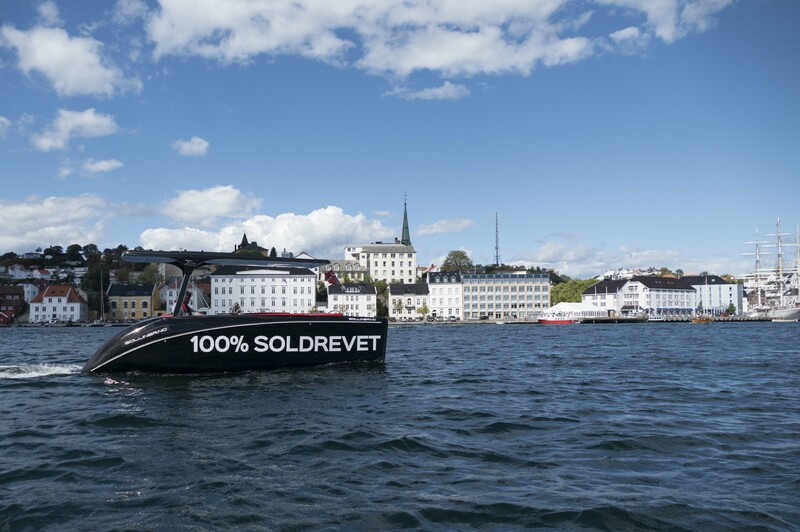 “Speed” became a topic again during this week when LT&C had the chance under Arendalsuka to test out the 100% solar-driven boat two of our members are engaged in (see: SOLAR BOATS SOLUTION IN TOURISM). 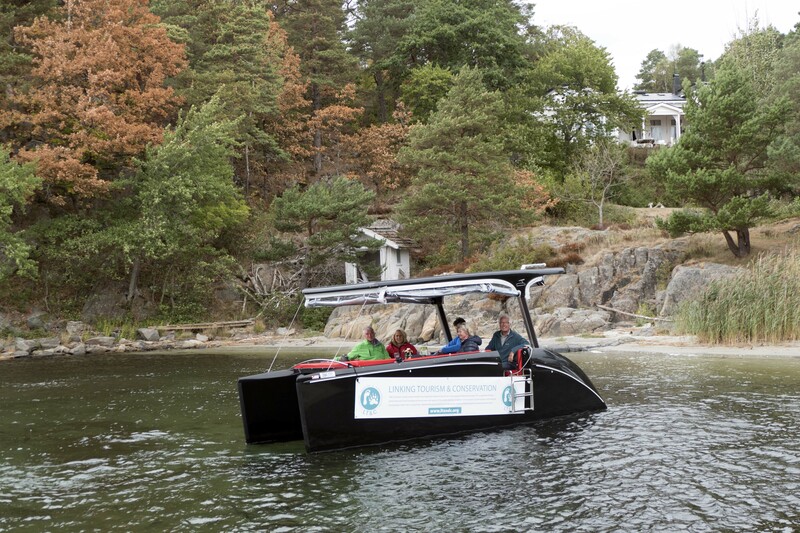 The boat has a maximum speed of 7 knots, does not use any fossil fuels but only energy from the sun and could be an ideal educational tool to silently explore and explain the national park. Jenny Marie Gulbrandsen, the national park director, also tested the boat and came immediately up with a good idea to improve the boat even further. As it is a catamaran, it should be easy to provide it with a glass bottom so one could directly look into the sea and study what the park provides under water. Good ideas were also asked for when we met on the Sunday after Arendalsuka with a small group of local LT&C-penguins on Hisøy again in the house of Elise Sijthoff. Looking at the solar boat, the idea of promoting “silent boating zones” for the national park was put forward. Such zones exist already in the comparable Swedish Koster national park. On the background of recently increasing discussions, after serious and deadly accidents this summer, about the nuisance of loud and fast going water scooters and other racer boats, there is indeed an urgency of developing a zoning concept for the national park. LT&C could play a role to find more supporters for that idea. 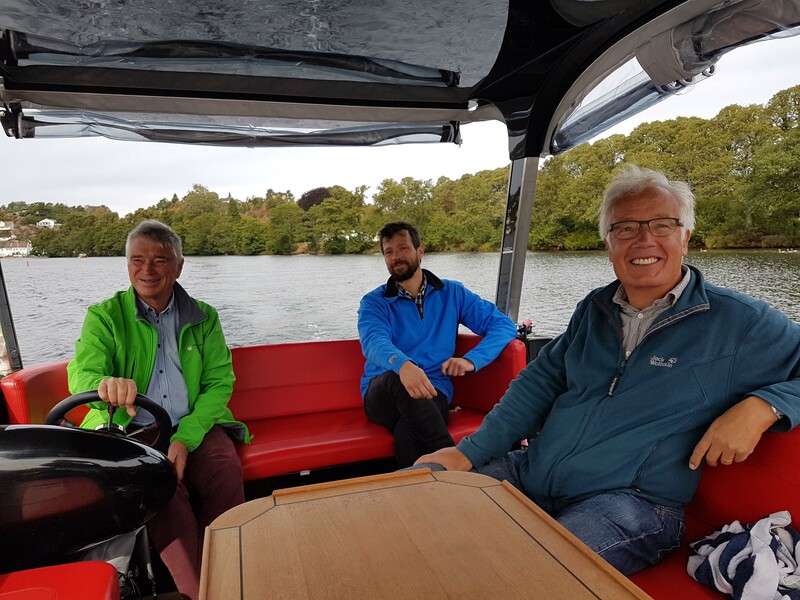 On the solar boat when meeting with LT&C members at Utnes outside Hisøy, the idea of “silent zones” for the national park was raised.